Famitsu.com is reporting that Nintendo's New Super Mario Bros. Wii sold 936,734 copies in Japan in its first week of availability. What does that mean in the scheme of things? Well, according to NeoGAF's "sales-age genius" Chris1964, that's 71,710 more than the original New Super Mario Bros. (for the DS) sold its first week--and 680,393 more than Super Mario Galaxy sold its first week. 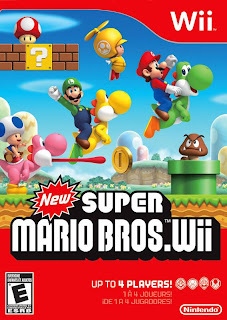 I usually don't care how well a game sells, but New Super Mario Bros. Wii is the game I anticipated most this year and I love seeing that so many other gamers feel/felt the same way.